Brythoniaid is a nation led by Chancellor Rhodri Mawr on the continent of Europe. 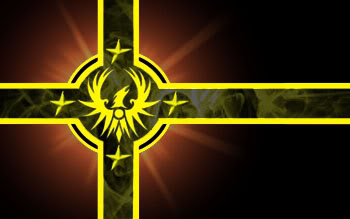 Brythoniaid's government is a Parliamentary Republic with very liberal social policies. Economically, Brythoniaid favors left wing policies. The official currency of Brythoniaid is the Pound Sterling. 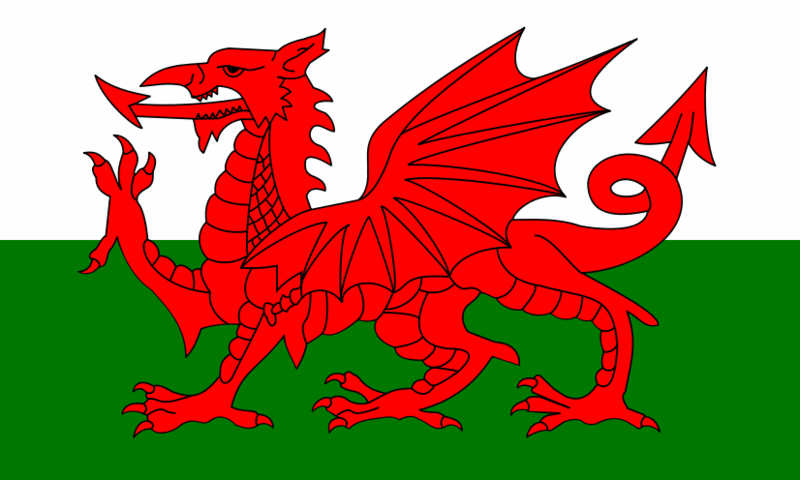 At 32 days old, Brythoniaid is an established nation. Brythoniaid has a population of 825,650 and a land area of 11,500.00 sq. miles. This gives it a national average population density of 71.80. Pollution in the nation is a disaster. The citizens' faith in the government is at an all-time high with an approval rating of 100%. The nation of the united Celtic Britons. 04/18 05:07 pm - Brythoniaid declared war on The Greater German State for the reason of "Say hello to my little friend!". 04/18 05:06 pm - Brythoniaid declared war on Jack Ayan for the reason of "Dead men taste like chicken.". 04/18 05:04 pm - Brythoniaid declared war on Yarmolenko for the reason of "Say hello to my little friend!". 04/18 05:03 pm - Brythoniaid declared war on United Darkness for the reason of "Dead men taste like chicken.". 04/18 05:00 pm - Brythoniaid declared war on Trialas for the reason of "We don't like you". 04/16 05:45 pm - Brythoniaid had war declared by Costa Dema for the reason of "PM for peace negotiations.". 04/15 08:53 am - Brythoniaid had war declared by New Sith Imperium for the reason of "Bounty hunting". 04/14 04:38 pm - Brythoniaid declared war on Locke for the reason of "Arrgh!". 04/14 04:36 pm - Brythoniaid declared war on Johnsonville for the reason of "You're a disease, and I'm the cure.". 04/14 04:31 pm - Brythoniaid declared war on Woof for the reason of "Get off my plane.". 04/14 04:30 pm - Brythoniaid declared war on United States of fusion for the reason of "We have come to liberate you". 04/14 04:29 pm - Brythoniaid declared war on Campbell Soup Company for the reason of "A not-so-general dispute". 04/12 08:14 pm - Brythoniaid changed their Color Trade Bloc from Gray to Yellow. 04/12 04:42 pm - Brythoniaid declared war on republic of Livertad for the reason of "I am the LAW!". 04/12 04:40 pm - Brythoniaid declared war on Liguania for the reason of "I couldn't come up with anything better than the default". 04/12 04:39 pm - Brythoniaid declared war on Tropic region for the reason of "I will have vengeance.". 04/12 04:38 pm - Brythoniaid declared war on Aquitaine for the reason of "Me too, thanks". 04/12 04:37 pm - Brythoniaid declared war on Avarus Nothi for the reason of "I couldn't come up with anything better than the default". 04/09 07:17 pm - Brythoniaid declared war on Germony for the reason of "Dead men taste like chicken.". 04/09 07:17 pm - Brythoniaid declared war on Potskilandia for the reason of "Do you feel lucky, punk?". 04/09 01:27 pm - Brythoniaid declared war on 111111111 for the reason of "Make peace with Carlos of Nuevo Puerto Rico". 04/08 04:35 pm - Brythoniaid declared war on COWS & HIPPOS for the reason of "Make Peace with Alex Zulu or i finish the war.". 04/07 06:19 pm - Brythoniaid declared war on Ides of March for the reason of "You brought this on yourself". 04/07 06:18 pm - Brythoniaid declared war on GanjaLand for the reason of "You brought this on yourself". 04/07 06:17 pm - Brythoniaid declared war on UnitedStatesofAmerica for the reason of "We have come to liberate you". 04/07 06:16 pm - Brythoniaid declared war on The Empire of New Canada for the reason of "This, is, SPARTA!". 04/05 04:23 pm - Brythoniaid declared war on Grand Duchy of Stark for the reason of "Gib me all ur moneyz". 04/05 04:16 pm - Brythoniaid declared war on Rhodesia Junior for the reason of "Get off my plane.". 04/05 04:16 pm - Brythoniaid declared war on Venisha for the reason of "All your base are belong to us". 04/05 04:15 pm - Brythoniaid declared war on The UPSASOSN for the reason of "I couldn't come up with anything better than the default".